The top 20 killer spider movies. An Arac-nado of spider films, from swarms of spiderlings to giant tarantulas, these are the creepiest crawlers in the movies. Arachnids are creepy even if they're small. Large spiders or swarms of tarantulas can be horrifying, especially if you have a phobia. That's why we love a good spider movie. Nothing is as chilling, cool, or fun to watch, as a spider crawling gracefully across the screen. If he eats a cricket or your neighbor, so much the better! This list is for the top 20 killer Spider movies in horror film history. 1 - Tarantula (1955) John Agar. The original, using a real live tarantula, has perfect direction and a great script. The giant tarantula looks creepy. 2 - Eight Legged Freaks (2002) Arac Attack! The daddy long-legs of modern spider movies. 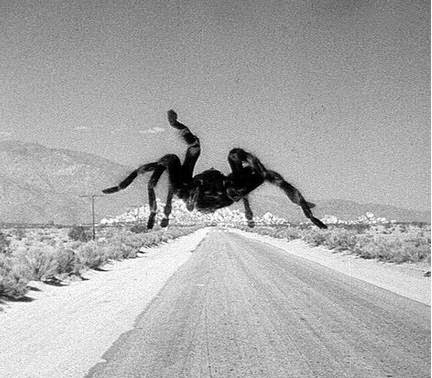 3 - Earth vs the Spider (1958) A giant spider attacks a town, and two teens help a scientist to ward it off. 4 - The Giant Spider Invasion (1975) A meteor crashes in Wisconsin and hatches many small tarantulas that grow into giant tarantulas. Both small and big spiders attack. Clever use of real tarantulas and fabricated giant prop spiders. 5 - Tarantulas: the Deadly Cargo (1977) Spiders on a plane! 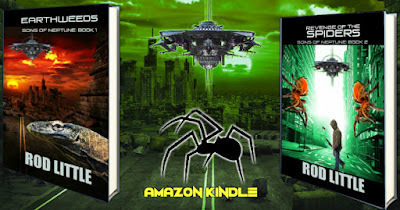 Tarantulas infest a cargo of oranges, attack the pilots and bring down the plane. On ground, they swarm from the plane and attack the town. 6 - Kingdom of the Spiders (1977) William Shatner battles a swarm of tarantulas. 7 - The Mist (2007) Alien spiders from a portal to another dimension, based on Stephen King's story. 8 - Ice Spiders (2007) Fairly good effects and a plausible plot. 9 - Black Scorpion (1957) you get the spider that was cut from the original King Kong film, and great scorpion battles. Muy excelente! 10 - Arachnophobia (1990) A deadly spider mates with a local species to spawn a deadly spider brood in a small town. 11 - Godzilla: Final Wars (2004) for the appearance of Kumonga the giant spider. 12 - Arachnoquake (2012) An earthquake in New Orleans opens a spider nest and lets out a swarm of giant spiders. This makes the list because the spiders are cool. The actors are bad; the writing and dialogue are embarrassing. Watch it for the arachnids. 13 - Spiders (2000) A DNA experiment gone wrong! 14 - Webs (2003) a team crosses into a parallel universe ruled by a mutant spider. 15 - Arachnid (2001) killer spiders on a remote island. 16 - Earth vs. the Spider (2001) not to be confused with the 1958 movie, this one has a man who mutates into a spider. Dan Akroyd actually appears. 18 - Attack of the Crab Monsters (1957) Sure they're technically not spiders, but these crustaceans are arachnid cousins, and are fun to watch. Good monster movie. 19 - Infestation (2009) Comedy about an invasion of insects, spiders and zombies, and a few mutant hybrids. 20 - Camel Spiders (2011) Not a good script or acting, but the spiders are fun. Bonus film: "The Incredible Skrinking Man" (1957) the little guy is menaced by a life size tarantula. He uses a needle to fend it off. Honorable Mention: Shelob, the giant spider from the LOTR Return of the King, was fantastic. The spider head in John Carpenter's "The Thing" (1982) also gets a thumbs-up. I'm still waiting for Ice Spiders vs. Snow Shark, but I'm told it won't be produced this year. WereWolf Spider, Shark-Arac and Arac-nado have also been canned, but I think spiders raining down from a storm would be workable. What will be the next big spider in the movies?